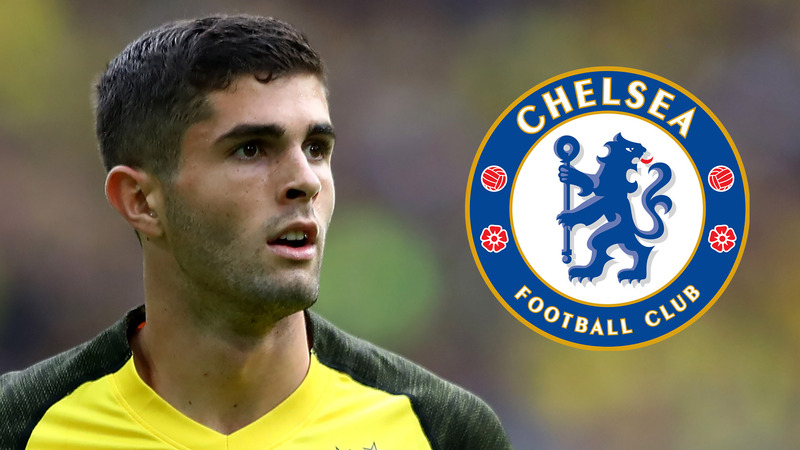 Christian Pulisic made a decision over his future and from next season he will play for Chelsea. The London Blues were interested in the services of the young American for a couple of years now and when they made the move to sign him, nobody was surprised. Team and player look like a perfect match for each other and it is almost certain that both parties will profit from the move instantly. The symbiosis between Chelsea and Pulisic will likely bear fruits right from the start of the season and you will be foolish not to make some money off of that proposition. You can easily increase your winnings if you bet on football online at NetBet.co.uk and back Chelsea to finish in the Top 4 next season. There is no chance in the world that with Pulisic on board the West London club will drop out of the Champions League positions. However, the odds for that bet will suddenly drop once next season starts and Chelsea starts brushing opposition teams aside. Act now and you will still be the benefactor of some high odds. The main reason why Pulisic ticks all the boxes for Chelsea is that he is an almost exact like-for-like replacement for Eden Hazard. The Belgian magician will more than likely leave Chelsea to join Real Madrid this summer and the arrival of Christian will significantly ameliorate the situation. Both players like playing on the flanks and both of them can play in between the channels. This is something that Maurizio Sarri has been insisting on and that’s why Hazard was so indispensable to his side. It is likely that Pulisic will play the same role of an advanced playmaker with a license to roam, to complement the deep-lying register that is Jorghinho. In this way, Chelsea will minimize the damage caused by Hazard’s departure and continue to play with more or less a similar player. Hazard’s departure is not the only headache that Sarri is bound to have this summer. Two key players that the Italian has been using on the wings, Pedro and Willian are over 30. This means that the club will only offer them one-year contract extensions, as this is Chelsea’s policy for players over 30. The fact that this rule wasn’t changed for the likes of John Terry should come as bad news for Pedro and Willian. This, in turn, means that those two players will either have to look for longer contracts away from Cobham or settle for fewer minutes due to their age. Either way, Christian Pulisic will be the main benefactor of this scenario as he is likely to feature week in week out as the only winger in Chelsea’s squad who is under 30. Pulisic’s selection in the team may get even more straightforward as the only other winger in the squad, the super talented Hudson Odoi, might actually leave in the summer to play for Bayern Munich. If Odoi leaves, Pulisic will be the automatic selection for all Chelsea matches. If he stays, Pulisic and Odoi will form the most potent European winger pairing in years to come. For Christian, it’s a win-win situation.